With the central theme "Loka Samastha Sukhino Bhavantu" (Universal Welfare), Eka Dina Koti Nama Parayanam is held every year. 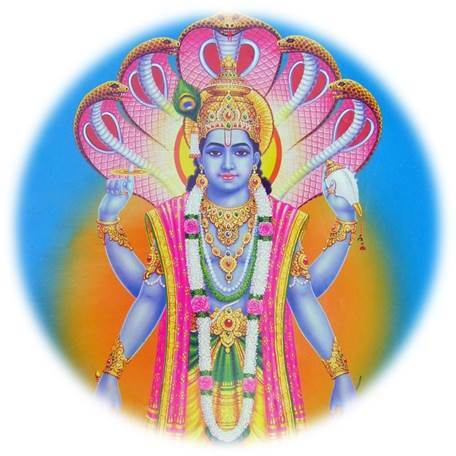 Vishnu Sahasranama is chanted 10,000 times on a single day, making it as Parayanam of One Crore Namas of Lord Vishnu. We welcome everyone, who can chant Vishnu Sahasranamam fluently (with a book or from memory), to join in this mass chanting. Please spread the word and have more of your family and friends join in the chanting. The day will begin with Suprabhatam and Poojas at 6:30 am. Parayanam will commence at 7:00 am and will continue until the target of 10,000 times is achieved, concluding with Maha Deeparadhana, with refreshment breaks in between. With the support of the participants, the parayanam can be completed earlier. Thus timing are subject to change based on the response. Completing the Koti Nama Parayanam successfully is only possible with the support of the chanters. We urge you to stay for the entire duration to get the full benefit of the chanting. If the situation only permits you to stay for a part of the parayanam, please indicate so in the registration form. Please join in the chanting for as long as you can. Sankalpam tickets at $10 will be available at the venue. Buying Sankalpam ticket is NOT compulsory for participation in the chanting. Remember to register for EDKNP below.